The latest news are not only sad but shocking. No one expected an anticipated transition due to a simple shoulder surgery. As Sergio Marchionne’s health worsens, FCA’s board decided to replace him with Mike Manley, the powerful man of Jeep. The complications of the surgery are not clear yet, but it seems that something more serious and tragic is happening with the former CEO. The end of an era. That is what FCA was supposed to live in the second quarter of next year when Marchionne would have step down as CEO after 14 years in command. The shocking part is that no one expected that the end of that era would have come before. And Mike Manley was the best option the company had in order to deal with this abrupt change. Is he going to meet the shareholders, analysts and industry expectations? Mike Manley arrives in office not exactly when and how he was expecting. Even if nothing was confirmed regarding Marchionne’s successor, Manley was one of the favorite candidates since the beginning. His excellent results as Jeep’s CEO allowed him to gain visibility and reputation among the other big guys in FCA. As Marchionne, he’s known for his hard work and his determination. So, at least at the beginning, there won’t be big changes in terms of management. However, Manley will look to have his own way of leading the automaker. Jeep is certainly going to gain even more power following his expertise. He, more than anyone inside FCA, knows perfectly the big potential of this brand. Under Manley, Jeep is expected to accelerate its growth pace and finally become the rockstar brand of FCA. 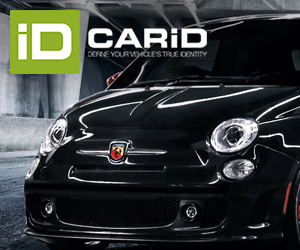 The immediate impact will be on Fiat, which will become for sure a niche brand in Europe. If the focus during the last 5 years has been on Jeep and more recently on Ram and the premium brands, under Manley, this situation will be enhanced. Last year Jeep and Ram counted for 45% of FCA’s global sales and they should be responsible for more than half of its profits. More Jeeps and Rams means lower resources to the low profitable brands like Chrysler, Dodge and Fiat. This shift is closely related to the coming CO2 targets. The new WLTP engine emissions test is proving to be more difficult than expected complicating life of stronger makers like Volkswagen. FCA needs to address this challenge without hurting its expansion plans, and the best way is by providing the consumers with competitive and more efficient SUVs. As Fiat is not the priority when thinking of a SUV-ification of FCA’s range, then Jeep is going to be the right answer. As the first non-Italian CEO of the company, Manley is also expected to reduce even more the dependence on the Italian market. Fabbrica Italia never worked and the latest plan presented in June indicated that Italy will become a luxury/premium car pole. Italy will continue losing its importance as the new CEO will for sure boost the struggling operations in China. Last but not least: the electrification issue. FCA needs a partner in order to electrify its range, and Manley could better use his Jeep expertise in order to close a good deal. He knows that FCA’s greatest asset is Jeep and it can be a breaking point when negotiating a partnership. FCA can improve its position by adding alternative fuels to its already popular Jeeps. Mike Manley is the right guy to succeed Sergio Marchionne. He has the expertise and the intense hard working style that a company like FCA needs. Besides, he has proven to be an excellent manager based on the results of Jeep. This brand along with China and electrics are expected to be his biggest bets as the new CEO. The best way to continue the awesome legacy of Sergio Marchionne. ← Is Chrysler following the same fate of Lancia?